Asakusa is probably the most popular place in Tokyo for foreign and Japanese tourists alike. Located between the other tourist hotspots of Akihabara and Tokyo Skytree, Asakusa is a great place to visit for its temples, shrines and traditional shopping streets. Every year in late May the Sanja Matsuri (Three Shrine Festival) is held, and is regarded as one of the top 3 Shinto festivals in Japan. 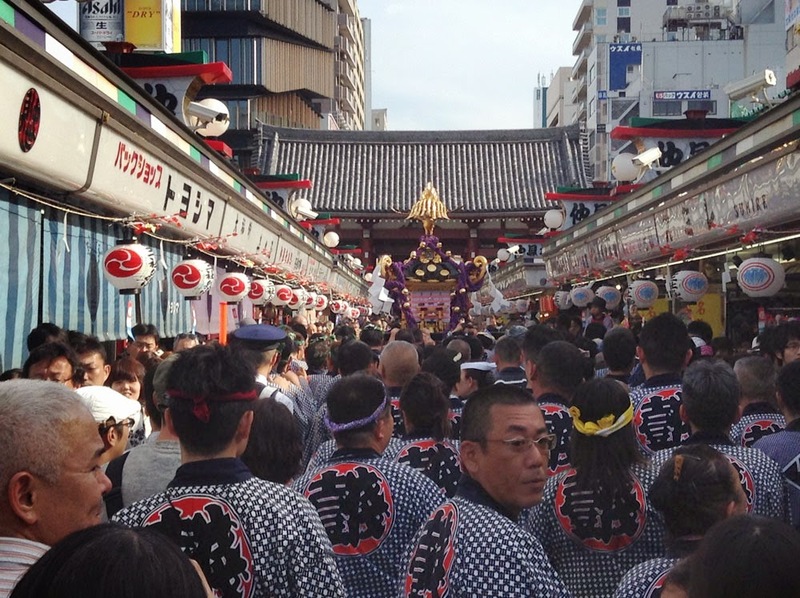 The festival celebrates the 3 founders of Senso-ji , the well-known temple in Asakusa. 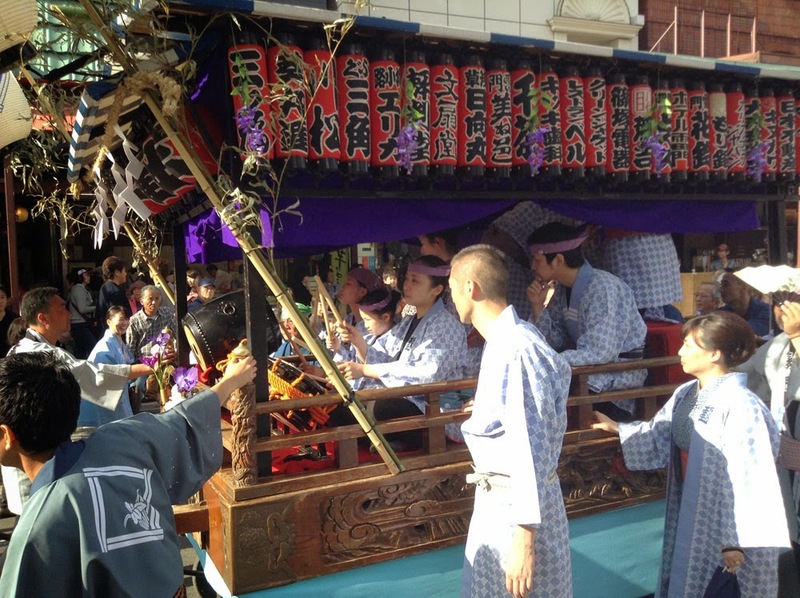 Participants carry mikoshi (little portable shrines) around Asakusa, while they chant, sing and play instruments. It’s a really exciting festival and because there are so many mikoshi everywhere, you are guaranteed to see some authentic Japanese celebrations. Hang around and eventually one of the music performance trucks will come around, playing all sorts of old-style Japanese festival and folk music. The mikoshi make their way around town, eventually passing down Nakamise-dori, the touristy shopping street that runs down from Senso-ji. It gets super crowded here, but the atmosphere is great, with everyone dancing, drinking and chanting. Almost 2 million visitors come to see the festival every year. 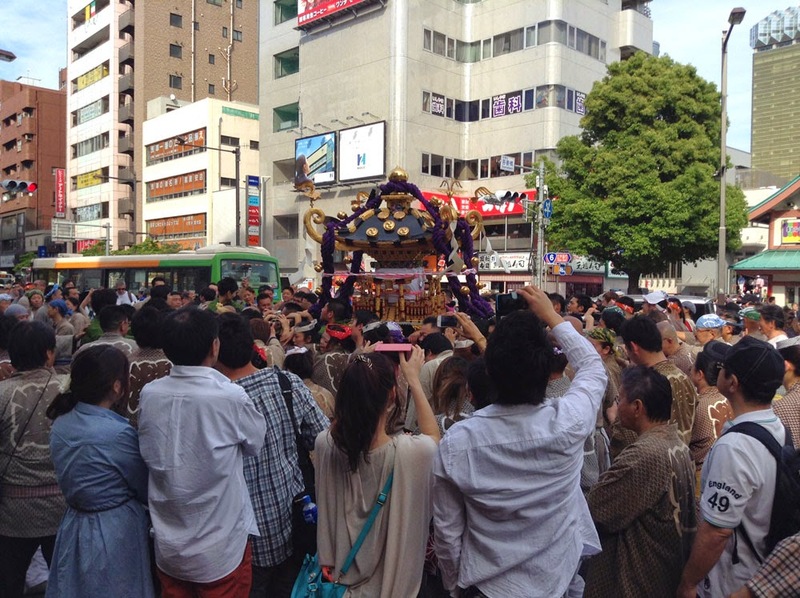 There are countless mikoshi teams who come to Asakusa every year to show off their teams power. The entire neighbourhood seems to have joined in as well, with kids playing musical instruments and grammas pushing the performance carts. The Sanja Matsuri is highly recommended for anyone who wants to see a real, fun Japanese festival. Going over to Cheapo Japan to check the site out! Thanks Lina, Yeah, I wonder as well. Ru loves Asakusa but does she love the crowds. 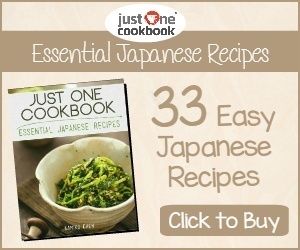 Cheapo Japan is a great site with lots of handy information about Japan. 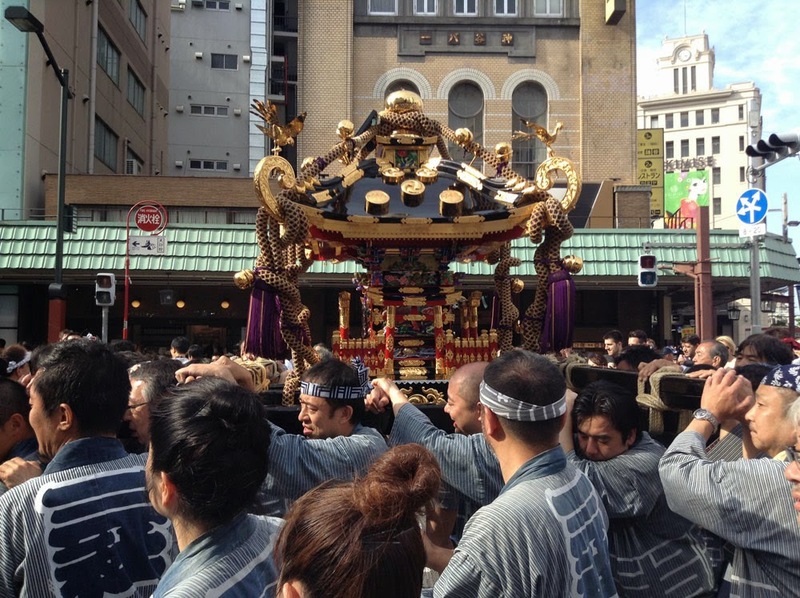 Wow, I've been to Asakusa and Sensoji a few times, but never for a matsuri and omikoshi! It looks amazing. The energy there must be crazy! Thanks Chad, Asakusa is my favourite place in Tokyo to stay and we always love visiting Sensoji Temple. The atmosphere of any Japanese festival is amazing, but is multiplied several fold for this festival with the amount of people in attendance. It is electric! It's a great Matsuri. Asakusa still has a good history. Thank you Cocomino, I love Asakusa and Sensoji. I've been lucky to have visited many times now and always look forward to visiting again when I'm in Tokyo.